Cooler nights and shorter days mean that the prime time to target big Murray cod on large lures is almost upon us. 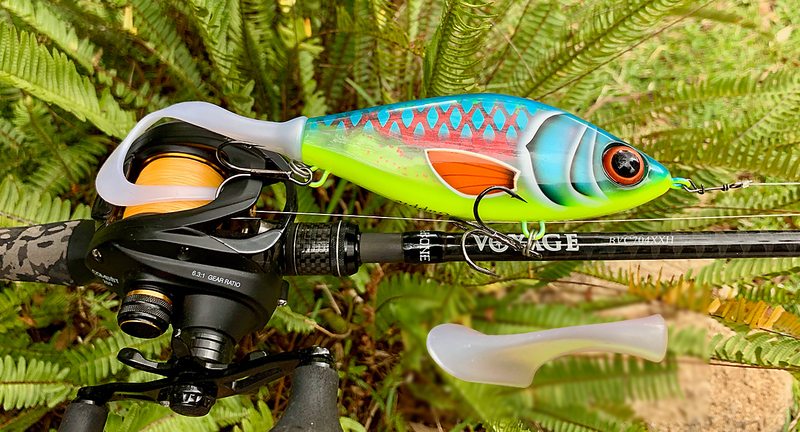 More and more anglers are getting out there and giving it a go using a growing range of lures, and I would like to add one to the list: the Strike Pro Guppie. This lure isn’t new but it’s very effective, and it’s well worth considering if you enjoy this style of fishing. I was lucky enough to receive a box of Guppies, and everybody I showed them to commented on the quality of the finish on the lures. It is exceptional. There are seven colours available and each has the ‘I would like to swim that’ appeal. The layering of pattern and paint gives them an almost 3D effect, and also increases the durability. They are an outstanding looking lure. 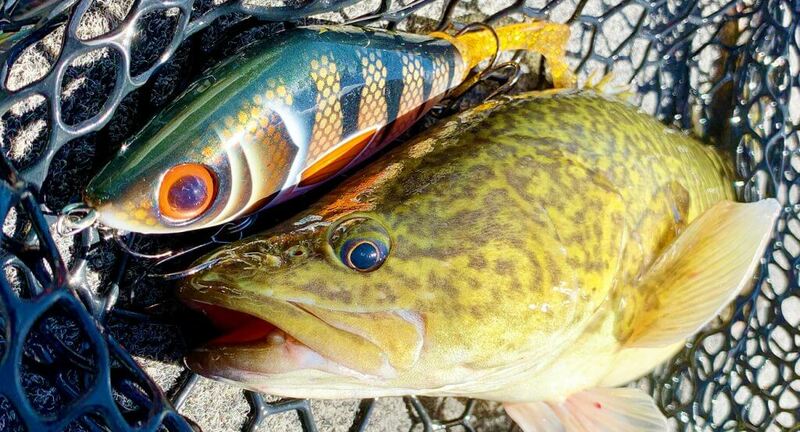 The Guppie is a wooden sinking glidebait with an interchangeable soft plastic tail. The lure comes with a soft plastic paddle-tail and a curl-tail that you can interchange using the wire corkscrew on the end of the body. It is simple and easy and also allows you customise the tail if you like. On a slow, constant retrieve it glides from side to side and screams “eat me”. Changing the plastic tail doesn’t change the lure’s action, but it does give it a different feel through the rod. The paddle-tail definitely sends more feedback through the line and the rod. The other thing to note with the Guppie is its hardware. From the packet it comes with sturdy hooks and strong split rings – there’s no need to upgrade anything, just tie it on and fish it. At 120g and 13.5cm long you will need a rod and reel suitable to cast the Guppie, otherwise casting something of this size and weight will be daunting. The Guppie comes with two soft plastic tails that are interchangeable using the wire corkscrew on the rear of the lure. I haven’t yet had many opportunities to swim the lures I was sent, but I did get the chance to try them out at Lake Mulwala when I visited. There are huge expanses of water with lots of structure and Murray cod in Lake Mulwala. I quickly learnt that long casts were not the go; the hooks of the Guppie grabbed the structure, which was quite frustrating. The hooks are sticky sharp, and with how the lure swims, if they touch structure they grab it. However, adjusting my technique and throwing shorter casts beside and along the structure made all the difference. In a matter of minutes a 52cm fish snaffled my Guppie as it snaked along a lay down. Wind and weather cut short the fishing that day, but with that initial success in mind, I can’t wait for my next opportunity to swim the Strike Pro Guppies. To find out more about the Strike Pro Guppie and the other Strike Pro lures available, you can go to www.jurofishing.com or ask for them in your local tackle store.